We are so excited to announce the debut of a new live audience internet broadcast to take place on Monday, 11/5/18, 7:30-9:30PM, at Nyack Village Theatre. 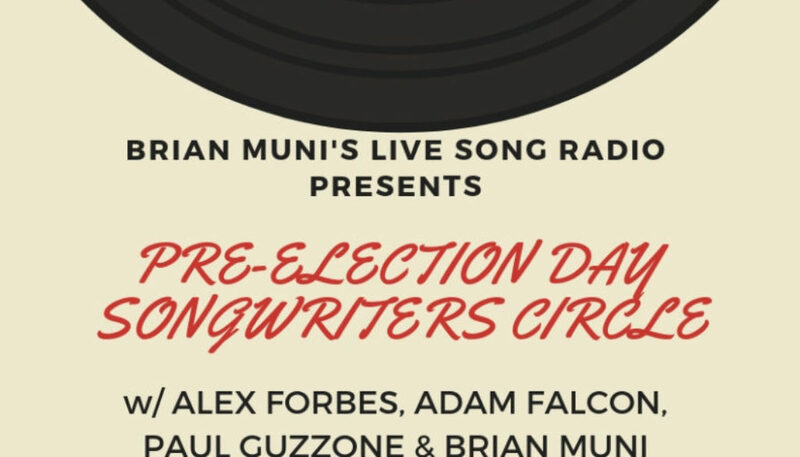 Join us for a Pre-Election Day Songwriters Circle with hit writers and award-winning musicians, Alex Forbes, Adam Falcon, Paul Guzzone and Brian Muni. This is a landmark moment for our Country. 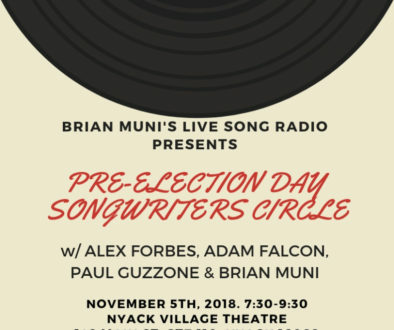 And we’ll be there to provide a forum for our songs of peace and protest and maybe provide a little motivation to get out the vote and be a part of the process!